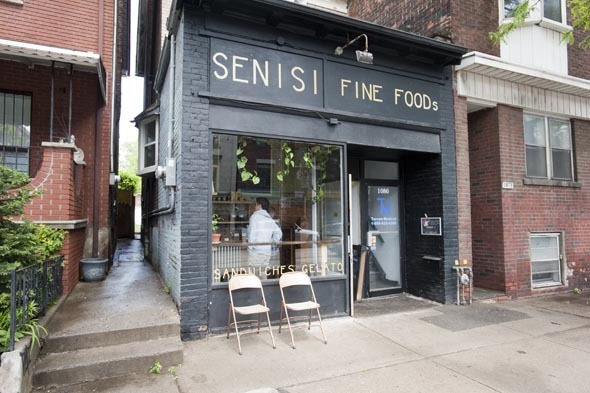 Senisi Fine Foods opened last month in the Dufferin Grove neighbourhood, selling quality kitchen essentials, sandwiches, coffee, and gelato. 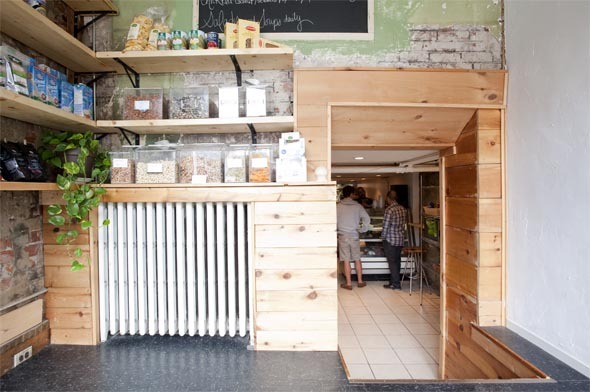 As a nearby resident, I was curious to see what Senisi could offer me by way of groceries, and whether I was about to discover a new go-to place for a quick bite and gelato this summer. During my visit one evening, owner Joseph Senisi tells me that he would describe his cozy store as "a bodega --I have a little bit of everything." 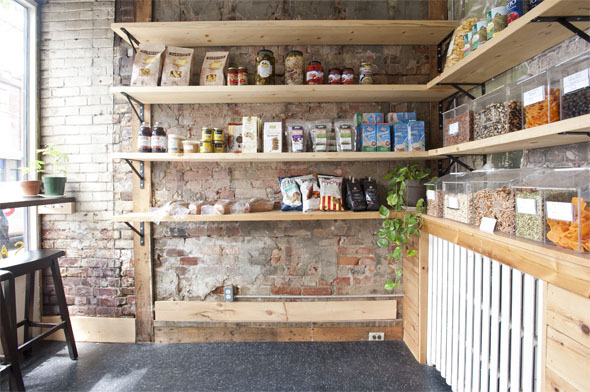 The front section has shelves lined with a limited selection of pantry items, refrigerator basics, and bulk foods. 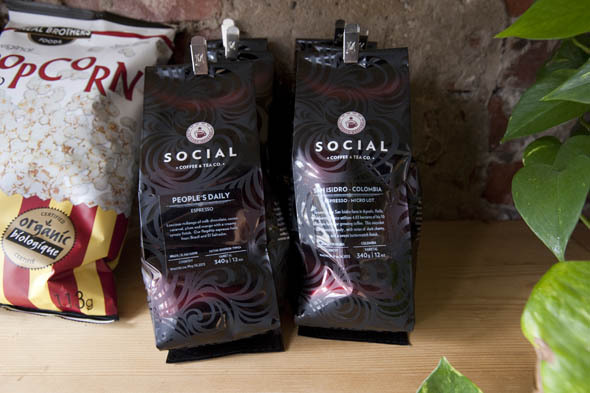 Products include Toronto's own St. John's Bakery bread, Social Coffee beans from Richmond Hill, dried pasta, canned goods, nuts, dried fruit, yogurt and Rowe Farms eggs. 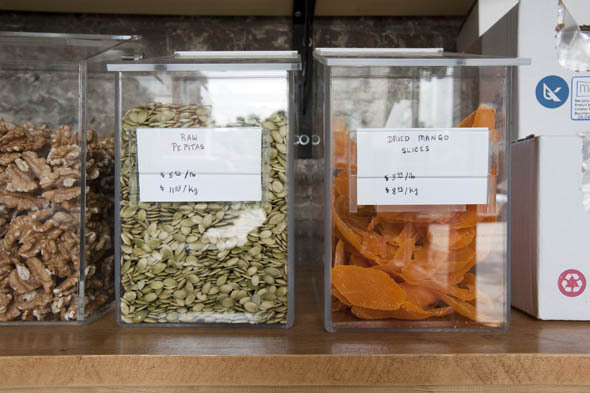 Senisi strives to provide as many organic and local products as possible, while keeping prices reasonable. He says he's bringing in more products based on customer feedback, including foraged goods and rice varieties. While I found the grocery selection to be quite limited for now, it's nice to know there's a nearby place that sells certain quality staples, and that's open late (until 10pm) when I'm in a pinch. I ducked into the lower level to check out the deli menu and gelato selection. Senisi worked in the restaurant industry for about 20 years, and has decided to go back to basics: "I'm doing what I love to do: sandwiches." In his opinion, sandwiches are supposed to be affordable and simple, but are often over-priced and over-complicated. "The $16 or $18 sandwich--that goes against point of the sandwich," he passionately explains to me. Senisi offers a set menu of prosciutto, organic chicken, sweet potato, and chickpea sandwiches ($5.75-$7.50), and a daily soup and salad. During my visit, he also had lasagna, made with love by his mom. It was hard to pass up homemade lasagna, but I decided to try the deli sandwiches. The rotating deli menu includes prosciutto for $7.50, and turkey, coppa, Genova salami, or Toscana salami for $6.50. The meats are freshly sliced and served with your choice of toppings like arugula, tomato, provolone, eggplant, pickles, peppers, avocado, and homemade mayos. My turkey sandwich hit the spot. The thick and crusty roll could barely contain the generous stack of meat and toppings, and I had to firmly press down on the sandwich to somehow manage a bite. The turkey was flavourful and not too salty, and the arugula and tomatoes added plenty of freshness. The sandwich was satisfying and topped the way I liked it, all for a reasonable price. As I dug in, I kept thinking how great it was to find a new local spot for a quick and tasty meal. I enjoyed my sandwich with a dark and strong Americano ($2). Senisi also offers cappuccinos, lattes and macchiatos ($2.75-$3.75), but he is clear that his store is not a café, and he has no interest in trying to compete with The Common across the street. Nevertheless, there is limited window seating for customers to enjoy their coffee and sandwich while watching College Street pass by. Of course, I couldn't leave without trying the gelato, which Senisi sources from Parkdale's Boreal Gelato . Among the range of flavours available was a vegan coconut option, and the cones are vegan as well. I decided to mix the sweet and fresh strawberry (which tasted like pure summer), with the rich chocolate. The prices may seem a bit high (small $3.75, medium $4.50, and large $6.25), but I appreciate that there's a premium for using high-quality and local ingredients, and I couldn't deny that it was a delicious end to a warm June evening. 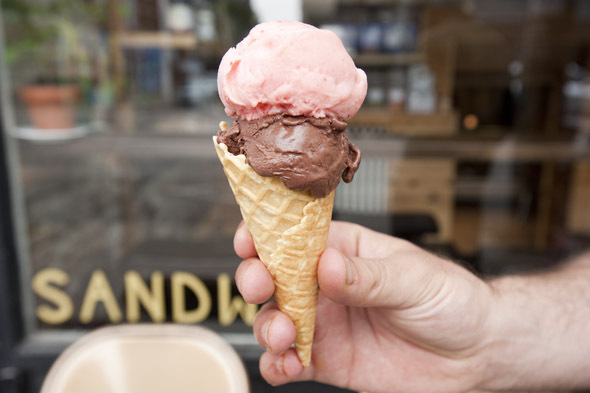 Senisi plans to expand the store to brew his own beer and make his own gelato on site. But his goal, like his approach to sandwiches, remains simple: "I want to be the little guy. I just want to provide people quality products, as organic as possible." Senisi Fine Foods is open 11am-10pm Tuesday to Sunday.